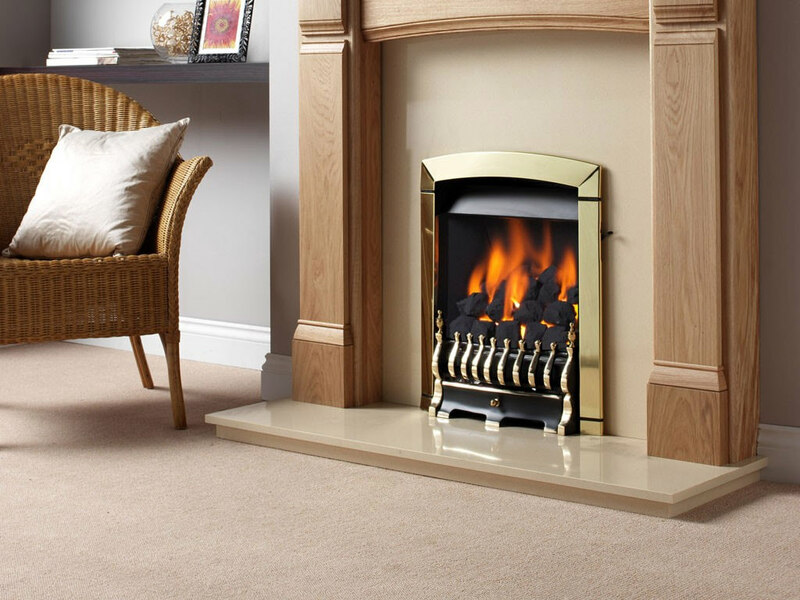 The Flavel Calypso Slide Control Hearth Mounted Inset Gas Fire is a bold and stylish unit that features a full depth coal fuel effect and stunning brass finish that shines in any room its installed in. Complete with several different safety options to keep any, and every, user as safe as possible; this product includes a flame supervision device and an airwatch system that will keep everyone in your home warm and secure. Offering radiant and convection heat and designed in a classic, traditional style, this product can be installed with a brick chimney – class 1 or a pre-fabricated flue – class 2. 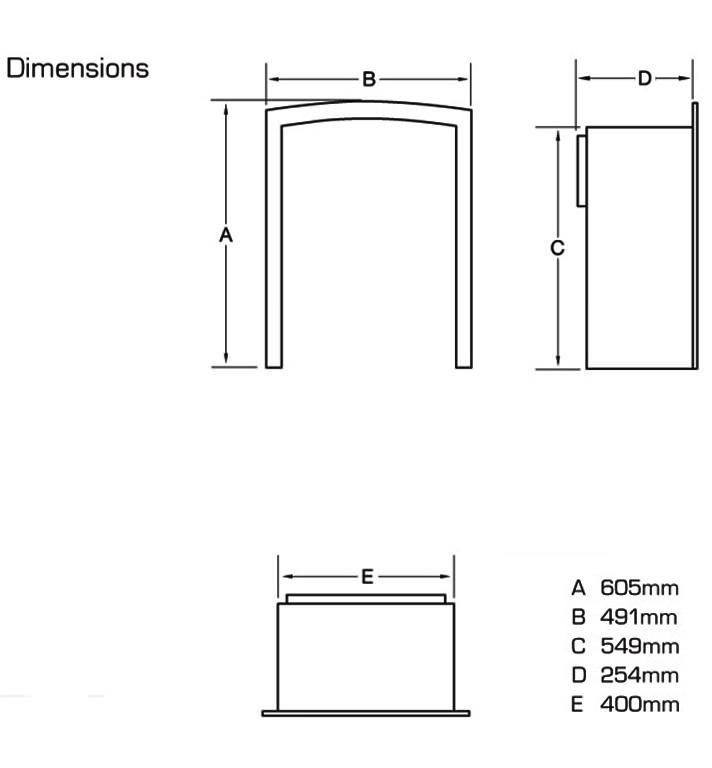 Minimum Width 400mm - Maximum Width 450mm. Apart from products designed for “no chimney” applications, all Flavel products will fit brick chimneys. They are easily recognisable by a chimney stack with accompanying terracotta pot or gas terminal. We wanted to have an appliance to keep us warm during winters and at the same time look distinct. It suited our requirement perfectly and even fit our budget. 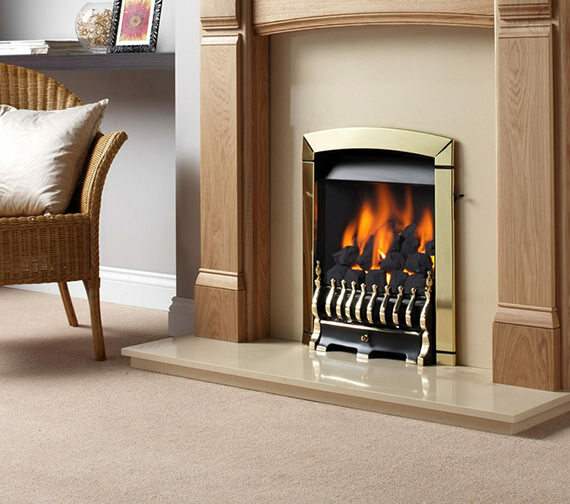 The living flame effect and an exquisite design make it highly appealing. Love the blend of old school fireplace charm and the latest technology used in it for heating. We lived cozily through last winter with this product and it still delivers the same amount of heat. 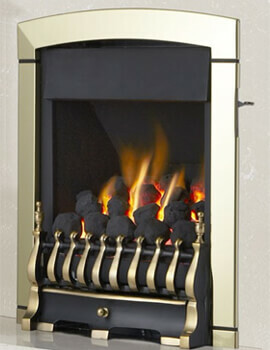 Design wise there is no regret as its brass finish detailing has literally become the talk of our living room. Love the finish of its brass design. Heats the room quite well during winter, so full marks for it.